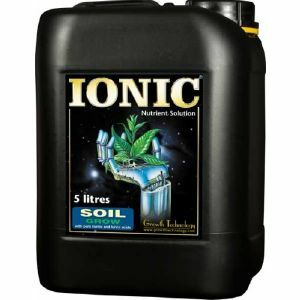 Ionic Soil Grow is an easy-to-use 1-part nutrient for plants grown in soil during the growth/vegetative phase. All the necessary nutrients for healthy plant growth are contained within the one bottle so there’s no measuring and mixing of separate A&B parts. Ionic Soil Grow is really simple to use but still produces very pleasing results.